Our premium rooms are a lifestyle choice for the contemporary traveller and resident looking for luxury and comfort. Artworks by architect Bernard Khoury adorn the walls of the rooms, an interior design continuity influenced by the external architecture. 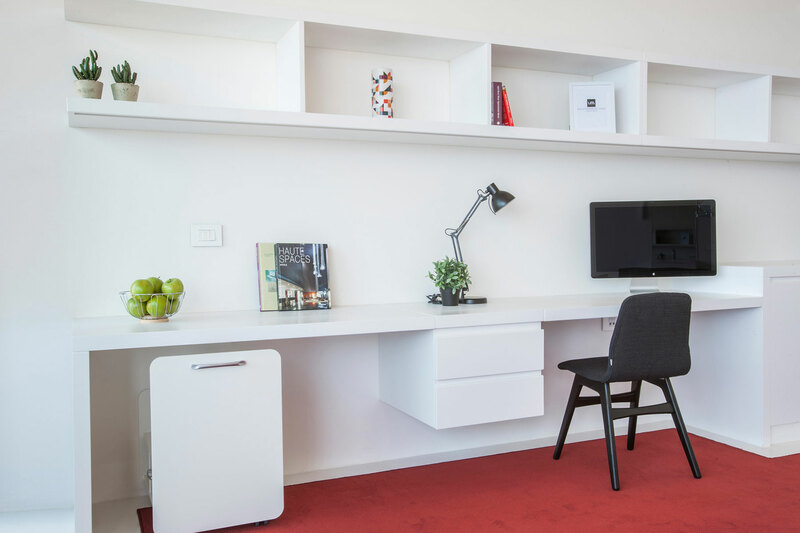 Modern BoConcept furniture and rich carpeting accentuates the sleek interiors, which have fitted closets, vanity rooms and walk-in showers with porthole views and teak flooring. Well-equipped kitchenettes make life easier if you wish to enjoy a simple meal in the comfort of your own room.